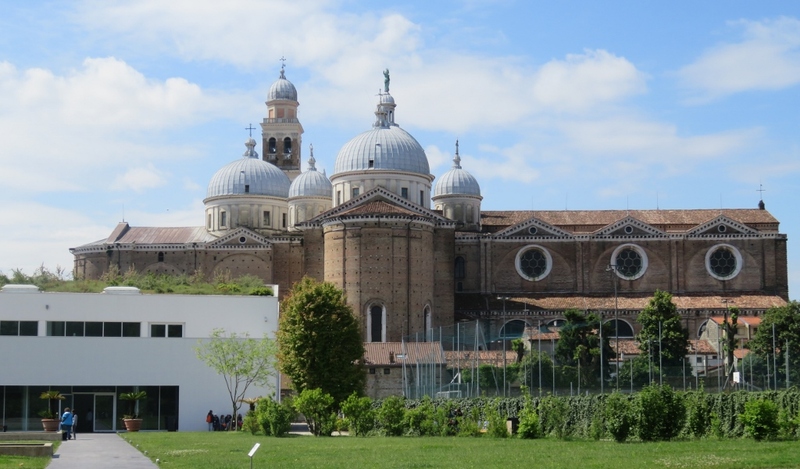 Padua, a university town in Italy, is not far from Venice. 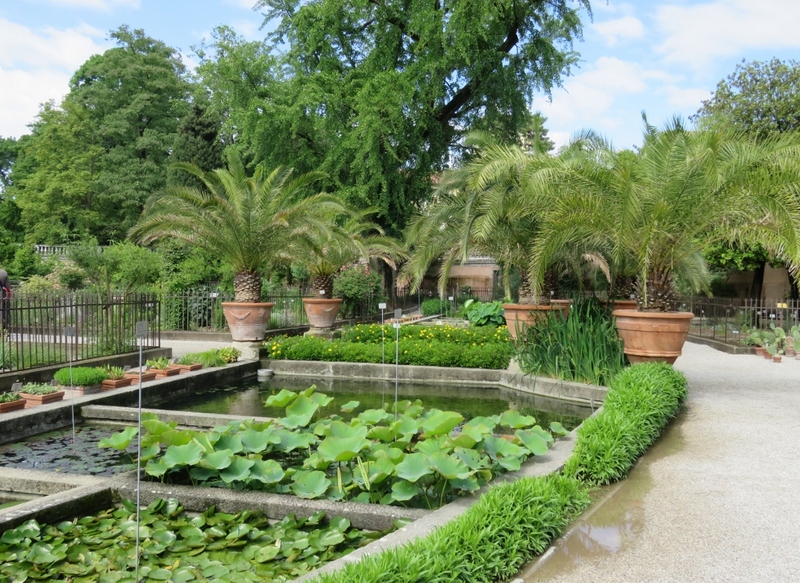 We also had a chance to see the Botanical gardens in Padua. It is the world’s oldest university garden of its kind. It was founded so that students could research and recognise medicinal plants. The morning we visited the garden, it was just recovering from a heavy storm the night before. 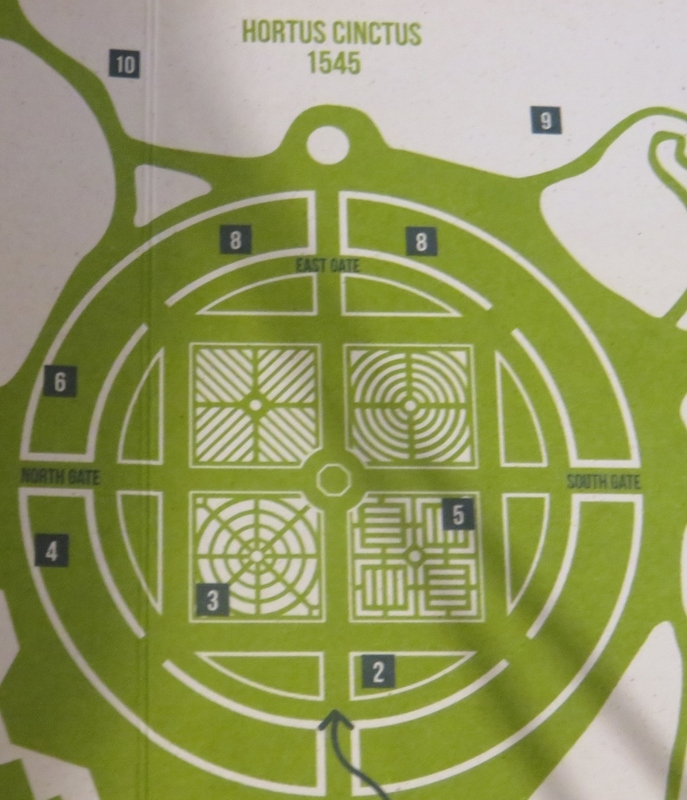 However, the old garden layout is much the same as it was in its founding days of 1545. The greenhouse on the right hand side of the previous photo holds Goethe’s Palm, planted in 1585. 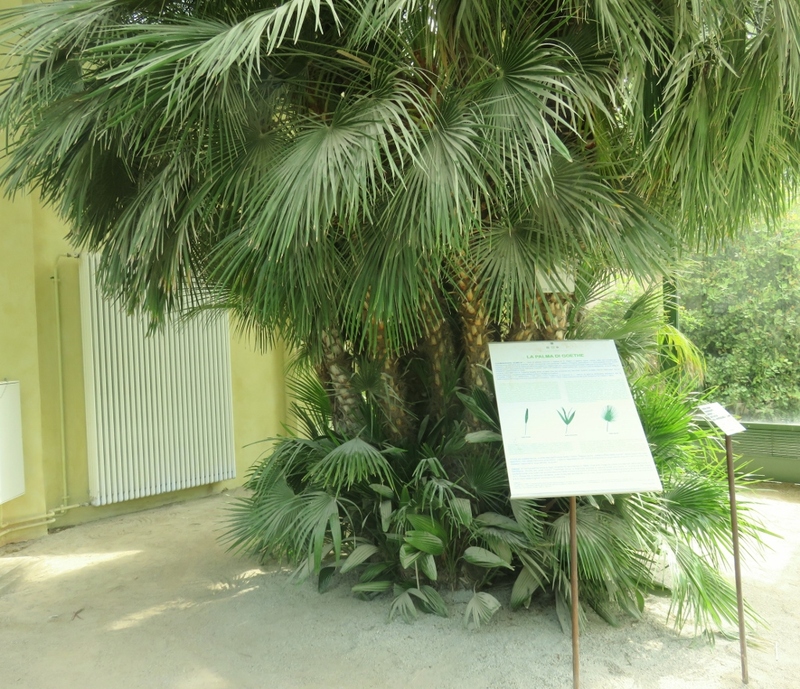 The Saint Peter’s palm (chamaerops humilis) inspired the German poet to write theories on nature in his Metamorphosis of Plants. 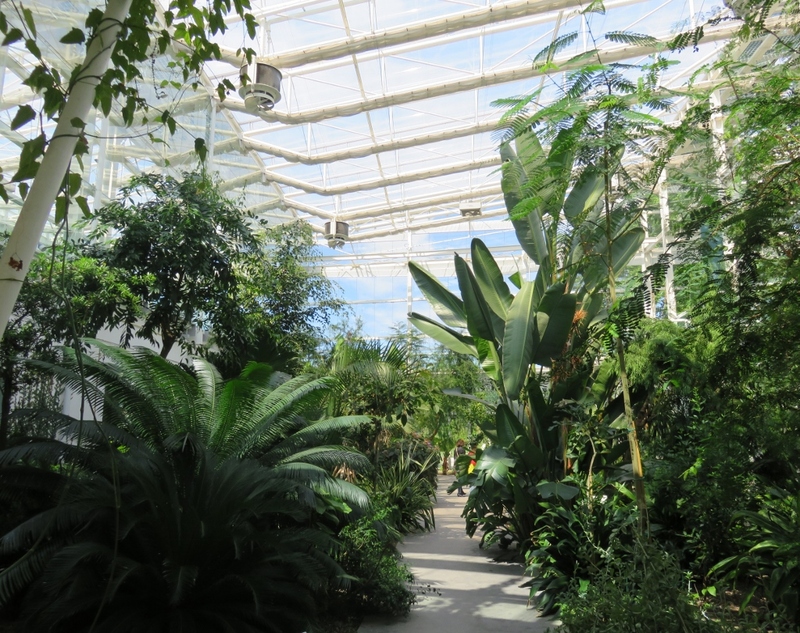 It was impossible to get a photo of the whole palm tree while standing inside the temperature controlled greenhouse. Nonetheless, it was a very humbling moment to stand beside a tree that has continued to grow through so much history, and still survives. To think Elizabeth 1 was on the throne at this time, and Sir Francis Raleigh was sailing around looking for colonies! The gardens were founded by the Venetian Republic, and exotic plants were brought from countries that traded with Venice. The design of this very old garden is still very easy to see and follow. The gardens have new greenhouses, which run on solar and water-power. These gardens are designed to take us on a journey through the Earth’s climate zones and for us to see how plants have adapted to their various habitats. 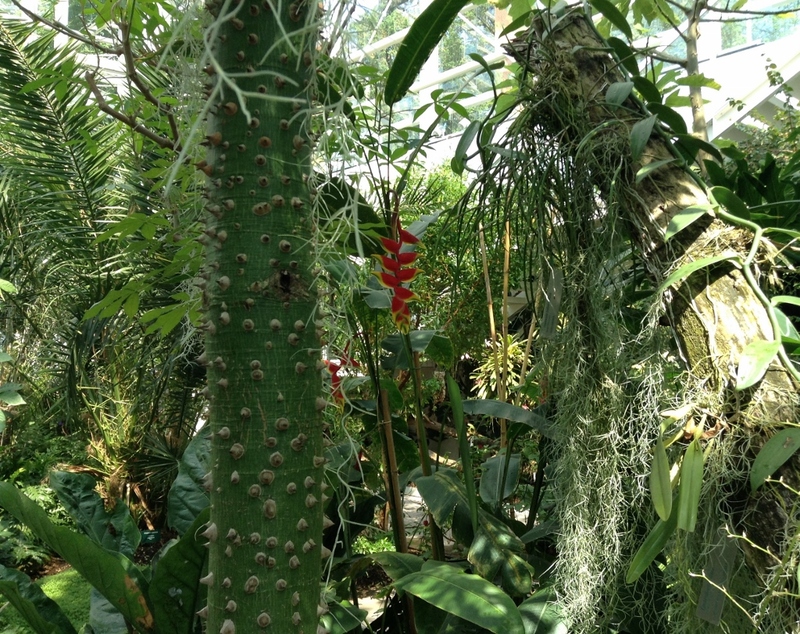 The trail in the Greenhouse has five parts, a tropical rainforest, a sub-humid tropical rainforest, and temperate, Mediterranean and arid regions.. 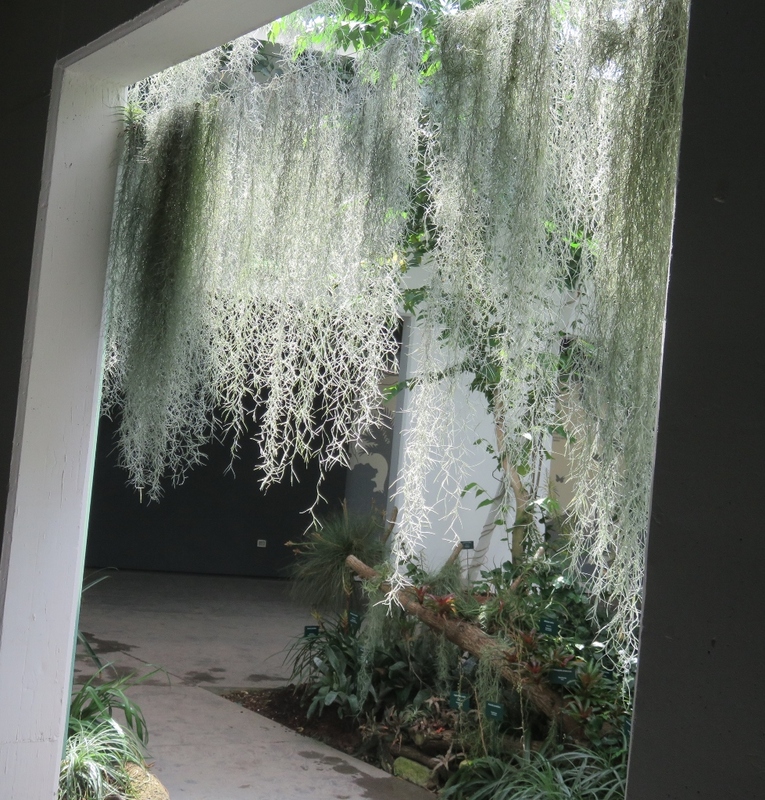 This plant (a type of orchid) was almost covering one of the entrance doors…I have never seen anything quite like it. We were almost overwhelmed by the amount of treasures just in the greenhouses alone.. The Botanic gardens of Padua have been Unesco World Heritage listed (1997) for its exceptional universal value in the birth of science. It has, and continues to contribute, to modern science, botany, medicine, chemistry, ecology, and pharmacy. 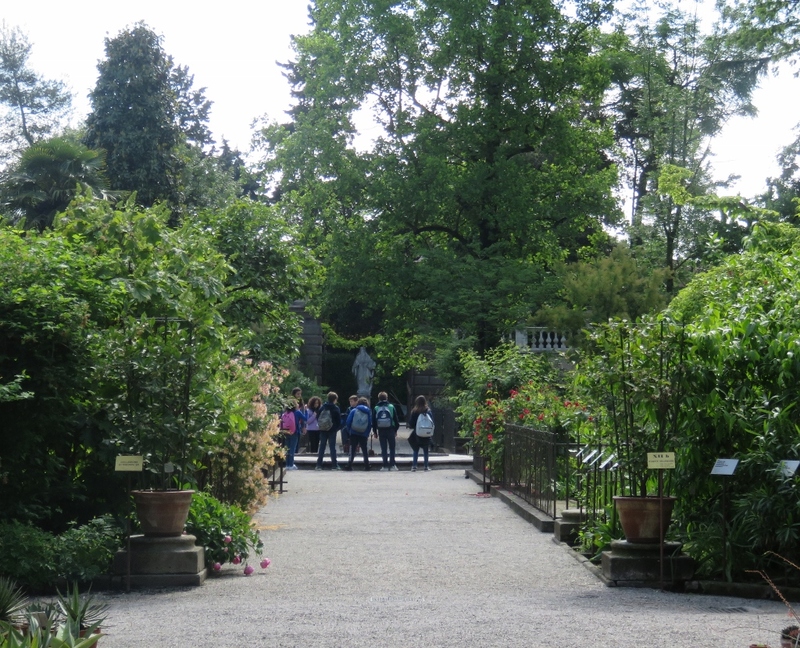 In the very turbulent world we have today, I take heart from the amount of school children we’ve seen on excursions to places like the ancient Padua Botanical gardens. 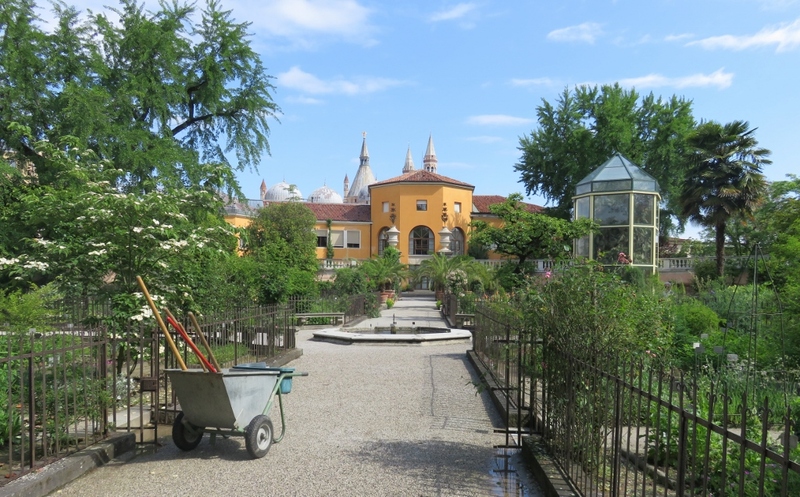 These gardens are showing children our history, some of the wonders of the world, and the positive contribution that has been made to our world over time. Salute to the teachers and parents who take children to such places. My next Prosecco will be a toast to all of you! Copyright Geraldine Mackey. All rights reserved. 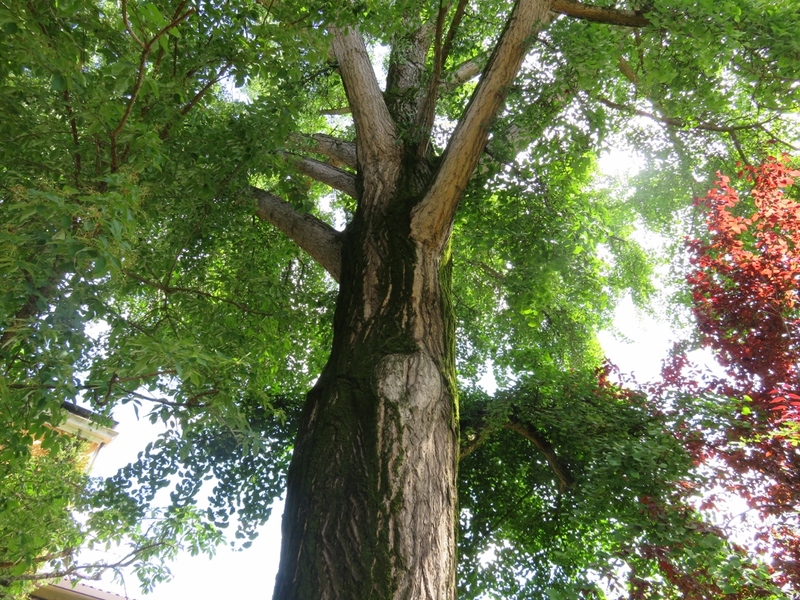 This entry was posted in Italian Green Spaces and tagged arid regions, ecology, exotic plants, Ginko tree, Goethe's Palm, Italy, medicinal plants, Mediterranean, oldest university garden, Padua botanical gardens, rainforest, science, scientific exchange, Temperate, Unesco Heritage site, Venetian Republic on June 30, 2016 by germac4. Great to see the new greenhouses; I been wanting to visit them since they opened. Padua is one of my favourite Italian towns. Do tell us the name of the hotel. Thanks for the comment. The new greenhouses are amazing. Well done Gerrie. The Padua Gardens can go on the “to see” list and good to see it has been able to retain the old and add new elements harmoniously. Love the last comment younger folk taking an interest. Thanks Ross, glad you liked it. It was amazing to see such an old garden, not to mention trees, still standing and flourishing. Re the young kids, I have to confess, as you would know, excursions are often not too much fun for the teacher….but essential for them to see this kind of place..
I’m glad you enjoyed the tour Diane, it is a wonderful place to see. Have you been affected by floods this summer? Well, I gave them a virtual hug! Another big tree had been stuck by lightning, but still survives. An amazing place all round. 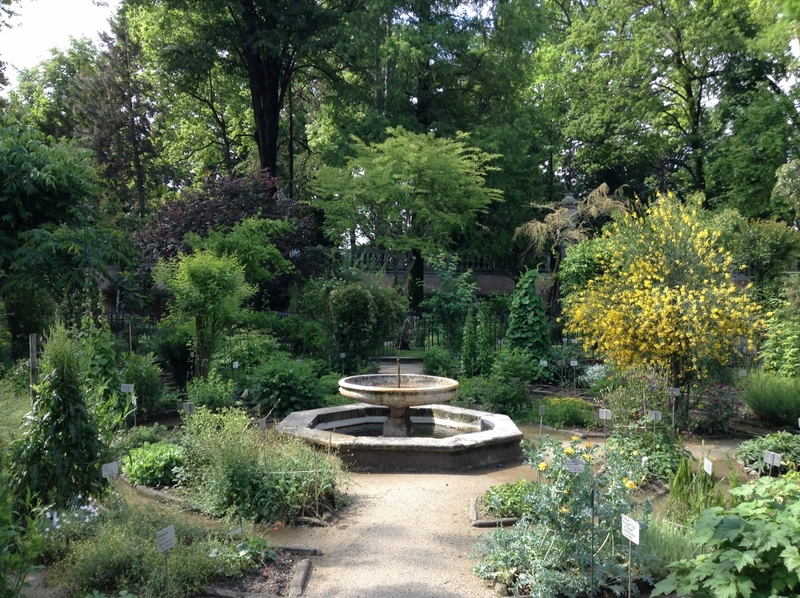 I can remember being taught in a Botany class that Padua had the first botanical garden. I will never get there to see it – so thank you for a much enjoyed tour. I’m glad you enjoyed it. I think for anyone interested in plants and botany, it is a wonderful place to visit. Yes Judy, so many plants to see…. Oh the stories they could tell! What a beautiful and fascinating garden. I like the mix of Renaissance and modern elements. 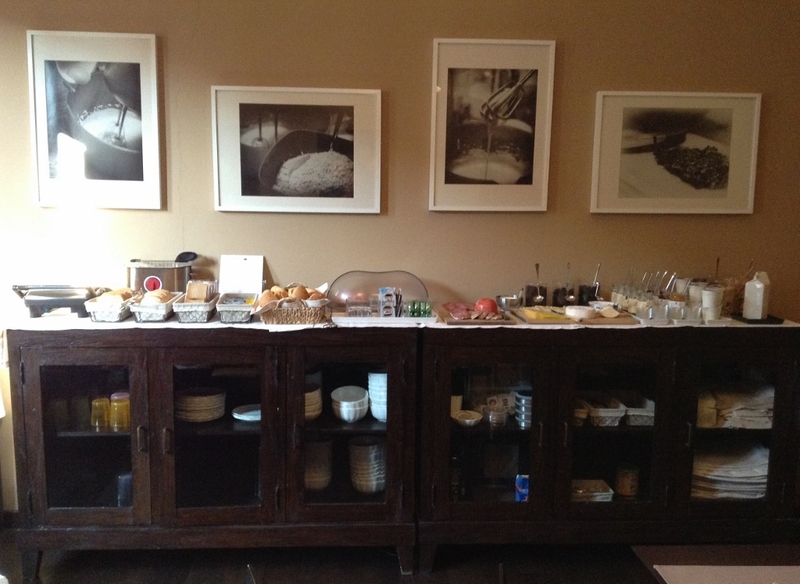 And if we are ever lucky enough to visit Padua, we will remember that hotel! 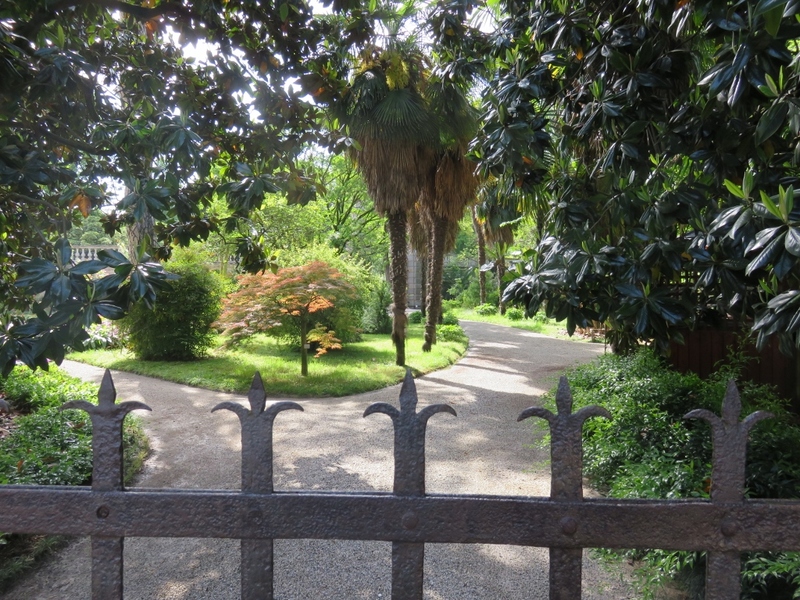 It was a thrill to be able to see such a wonderful old garden, especially coming from a youthful country like Australia! Glad you enjoyed the gardens. Yes, it is nice to be able to share such a unique place. What a pity the palm tree that old couldn’t talk! Thanks Sarah, I’ve wanted to use that photo for a while for the header (taken last year) but always feel nervous about fiddling with headers etc on the blog! Yes, that was an amazing garden, and the trees older than settlement in Australia. Canberra’s autumn, gardening and cockatoos at the almond cafe..
Canberra's autumn, gardening and cockatoos at the almond cafe.. The Snowy Mountains, a walk amongst the wild flowers and snowgums..